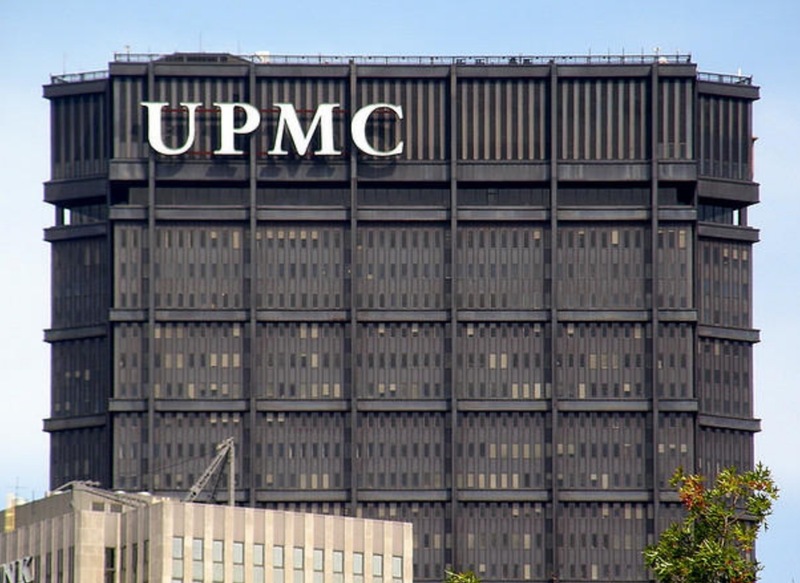 The UPMC/Highmark rivalry continues to open new fronts in Pennsylvania. Highmark’s response to UPMC is differentiated in two ways: first, Highmark is using a coalition-building strategy and, second, it is controlling its exposure to big in-patient assets; in contrast, UPMC is building an integrated, single-brand system and happily taking over hospitals (and building more) along the way. When UPMC and Highmark make major investments in a region, local systems will be caught in the capex arms and feel the pressure to affiliate. Credibly threatening to respond in kind may defuse the arms race. But unaffiliated systems may struggle to find partners willing to bankroll a battle with both Highmark and UPMC, leaving no option for unaligned systems than to pick sides. Philadelphia systems – so far largely neutral to Highmark vs. UPMC – should be able to stay neutral as the fight develops in their western backyard. If the battle moves into northeastern Pennsylvania or jumps into south Jersey, however, the Philadelphia systems will have to develop a response. The competitive rivalry between Highmark and UPMC is truly epic. Long ago – when Highmark largely focused on insurance and UPMC largely focused on care delivery — they were good partners in the Pittsburgh market. But as each has become more vertically integrated – with Highmark acquiring the West Penn Allegheny system and UPMC’s health plan buisness growing – they have since become bitter rivals. The competition has expanded out of Western Pennsylvania and into the rest of the state. Newborns born in 29 other countries of the world have life expectancies exceeding 80 years; yet, an infant born in the US in 2016 is expected to live only 78.6 years according to recently released statistics. While death rates fell for 7 of the 10 biggest killers, such as cancer and heart disease, they climbed for the under-65 crowd. The irrefutable culprit is the unrelenting opioid epidemic. Last year life expectancy declined for the first time since 1993. The last two-year decline was in 1962 and 1963, more than a half-century ago. I predicted (accurately) it would decline again this year unless there was a dramatic change in the primary care physician workforce. We are dying at a younger age today than two years ago– two months earlier to be exact. It might not sound monumental, but life expectancy is the king of noteworthy health statistics, making it quite significant in the grand scheme. In the past, epidemics by definition were temporary; the narcotic epidemic will be anything but transient; there is no foreseeable end for the scourge of opioid addiction sweeping the nation. In my humble opinion, the solution to this dilemma is no different than it was last year, we must correct the primary care physician shortage. Time is of the essence. The last three-year decline occurred in 1912- 1914 as a result of the Spanish flu. Unfortunately, life expectancy will continue to decline until the nation makes comprehensive changes. One in five Americans live in a primary care shortage area; the ratio of the population to primary care providers is greater than 2,000 to 1 (Bodenheimer & Pham, 2010), when it should be closer to 1,000 to 1. I am a third-generation primary care physician, with a unique historical perspective on how medical practice has changed since my grandfather made house calls back in 1940. My practice is currently located in a shortage area and the difference in volume compared to 16 years ago when I first hung a shingle, is extraordinary. Only 37% of doctors serve in primary care, yet 56% of the office visits are completed by that particular group of physicians (Health Resources and Services Administration, Bureau of Health Professions, 2008.) 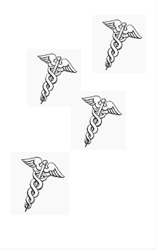 In my grandfathers’ time, primary care physicians made up 70-80% of the physician workforce. For veterans of the healthcare industry, the current debate over the future of the Affordable Care Act – and proposed changes that would fundamentally alter Medicaid and individual market exchanges – is a frustrating battle of ideologies with the future of healthcare at risk. Our debate over who should be eligible for expanded coverage and how we reform reimbursement is often laced with self-preservation, which in our case means preserving an employer-sponsored system that is riddled with inequities, opacity, dubious middlemen and weak public and private sector fiduciary oversight. Those who provide, pay for and/or consume healthcare are drowning under rising per capita costs while many in the middle of these transactions grow fat. As brokers, consultants and advisors, we have to face an inconvenient truth: we have presided over and benefited from a system in crisis. Not everyone believes our industry’s purpose is noble or necessary. Health system stakeholders long to deal direct with employers. Many professional benefits managers hate being on the end of the latest pitch from their advisor to sell a project or broker to hawk a new product to increase commission income. In the digital age, there is a heavy bias in favor of disintermediation and the elimination of distribution costs that are often not easily rationalized. How does one grade the contribution of a sentinel? How does a client know whether the advisor who is paid a commission or fee is acting out of self-interest or as a trusted change agent? How one makes money is as important as how much one makes in certain industries. There are ethical implications to anyone who adds cost to a healthcare system fraught with waste, fraud and abuse. This expense translates into higher cost and erodes the ability for employers and public entities to finance care for those that are often most in need. In the last two decades, ineffective regulatory and advisory oversight of the financial and healthcare industries has allowed abuses to take place in the form of mergers and protected opacity in pricing. Trump, Stalin and the Price of Replacing Science with Ideological B.S. Donald Trump and many of his closest advisors have been accused of colluding with Russia to win his election as President. We shall see what Robert Mueller and the FBI discover in that regard. But, whatever truth emerges there is no doubt that Trump has ripped a page from a long-dead leader of the Soviet Union, the monster Joseph Stalin, to undercut science in the name of his ideological goals. What does Trump’s disgraceful censorship of science by banning words known to be useful, valuable, essential and important have to do with Stalin and Russia? Everything. Stalin like Trump only wanted to hear scientific words when they confirmed his political beliefs. He did not care if by implementing false news he killed millions of his citizens. Trump with his decision to ban scientific terms in public policy that don’t suit his taste is proudly marching in Uncle Joe’s bloody footsteps. Premium Support: Coming Soon to a Medicare Plan Near You? Unnoticed by most of the media, the Congressional Budget Office recently released a report that could profoundly change American seniors’ healthcare coverage. The report updates a 2013 CBO analysis of the potential impact of switching Medicare to a premium support system. Under such a system private plans would compete with the traditional fee-for-service plan much like today, but with a big difference. Whereas now, for most beneficiaries, Part A is free and Part B requires a modest premium, under premium support the government would pay only up to regional benchmark amounts for Parts A and B together. Seniors choosing a plan (or the FFS option) priced above the benchmark would pay the difference. The concept isn’t new. Over the past twenty years, various versions have been proposed by bipartisan commissions and—more recently—by Republican budgeters in Congress. What is new is the projected magnitude of the federal budget savings. Both CBO analyses looked at two options for setting the benchmarks, either as the average of all bids (including the projected FFS cost) for a region, or as the lower of the FFS cost and the second lowest private plan bid. The differences between the projections in the two analyses, four years apart—and the numbers themselves—are huge. Mosquito borne illnesses pose a significant threat to human health. In the past several years, drug makers have begun developing vaccines for viruses like dengue, Zika, and chikungunya, all of which pose unique risks to billions across the globe. One of them just went terribly, terribly wrong. Sanofi Pasteur, the vaccine division of the multinational pharmaceutical company Sanofi, has the problem. In a press release distributed last Wednesday, Sanofi reported that new analysis of long-term safety data for its dengue vaccine, Dengvaxia®, revealed that the vaccine may not be safe or effective for individuals who have had no prior dengue infection. The Philippines was the first country in Southeast Asia to approve the vaccine. It has since been administered to more than 600,000 schoolchildren in three highly-endemic regions of the country in the world’s first public dengue immunization program. I’m sitting amidst a number of cardiologists to go over the most recent trials presented at the interventional cardiology conference in Denver. The cardiology fellow presenting goes quickly through the hors de oeuvres until finally getting to the main course – ORBITA. The trial results follow – no statistically significant difference in the primary outcome of exercise time increment between sham and stent, and no difference in angina between the two groups. The meat of the presentation involves the limitations of the trial that make the trial inapplicable – 200 patients total, 6 week follow up, the underlying heterogeneity of the patient angiograms that were randomized, and the wide confidence intervals of the primary outcome that swallowed the actual effect size. Two different angiograms were shown to the audience from the ORBITA appendix. The images demonstrate two ‘blockages’. To the eye, at least, one appears tighter than the other. The audience was polled on each image – everyone voted to stent the tighter blockage and medically manage the lesser of the blockages. It could be all perception but I could feel the relief in the room as ORBITA was being made irrelevant. The implication clearly was that some angiograms used to show the lack of benefit from stents would not have needed stenting in the first place. There was no good answer – the presenter shrugged and muttered something about an anti-interventional cardiology bias. It was at that moment that I realized why cardiologists were having such trouble with ORBITA – we were arguing like puritans. Everyone in the room already ‘knew’ stents worked. This was an exercise in bias confirmation when what was needed was an examination of the source of bias. Faced with the ultimate epistemological challenge we were resorting to authority to dismiss findings we didn’t like. Now I think cardiologists have authority with good reason, and certainly ORBITA may have limitations inherent in any small randomized control trial that’s performed, but we can do a better job answering the fundamental question raised here that relates to the primary evidence opening a narrowed artery actually can relieve angina. The U.S. tax system and health care are deeply intertwined. The Republican tax bills hurtling through Congress would make significant changes in this relationship. The proposed changes, primarily a large cut in the corporate tax rate from 35 to 20 percent, would benefit health care (and most other) companies. But none of the changes would, in the long run, benefit consumers, the public good, or public health. The major components of the proposed legislation are dangerously ill-conceived and ill-timed in the context of the overall economy and in particular health care policy and spending, which is projected to comprise 20 percent of the nation’s economy in 2025, up from 18.3 percent today. That’s a difference and increase that reflects several trillion dollars of “additional” health care spending over the next decade. Amid this projected rise, the Trump administration and congressional Republicans propose to reduce the rate of growth of overall federal government spending and shift a sizable portion of health spending to other government entities and programs. These include the Pentagon, national security, homeland security, infrastructure projects, and—most notable in the context of the tax bills—a tax cut for corporations and upper income Americans. It doesn’t and won’t add up—unless two (unlikely) things happen: (1) the economy grows at twice to three times the rate most economists predict and (2) the rate of growth in health spending is dramatically constrained. Absent both, the Republican tax bills will cause the annual federal budget deficit and the nation’s long-term debt to balloon even more than already forecast. The appeal of precision medicine is the promise that we can understand disease with greater specificity and fashion treatments that are more individualized and more effective. A core tenet (or “central dogma,” as I wrote in 2015) of precision medicine is the idea that large disease categories – like type 2 diabetes – actually consist of multiple discernable subtypes, each with its own distinct characteristics and genetic drivers. As genetic and phenotypic research advances, the argument goes, diseases like “type 2 diabetes” will go the way of quaint descriptive diagnoses like “dropsy” (edema) and be replaced by more precisely defined subgroups, each ideally associated with a distinct therapy developed for that population. In 2015, this represented an intuitively appealing idea in search of robust supporting data (at least outside oncology). In 2017, this represents an intuitively appealing idea in search of robust supporting data (at least outside oncology). The gap between theory and data has troubled many researchers, and earlier this year, a pair of cardiologists from the Massachusetts General Hospital (MGH) and the Broad Institute, Sek Kathiresan and Amit V. Khera, wrote an important – and I’d suggest underappreciated – commentary in the journal Circulation that examined this very disconnect, through the lens of coronary artery disease (CAD). If a man armed with a knife lost a fight to a man with a gun, ditto: “Poor quality.” And their solution would be more measurement of the “quality,” followed by punishment of the losers for getting low grades on the “quality” report card and rewards for the winners. The obvious problem – a mismatch in resources – and the damage done to the losers by punishing them would be studiously ignored. This widespread, willful blindness to the role that resource disparities play in creating ethnic and income disparities and other problems, and the concomitant widespread belief that all defects in the US health care system are due to insufficient “quality,” is difficult to explain. I will attempt to lay out the rudiments of an explanation in this essay. In my first article in this two-part series, I presented evidence demonstrating that “pay-for-performance” (P4P) and “value-base purchasing” (VBP) (rewarding and punishing providers based on crude measures of cost and quality) punish providers who treat a disproportionate share of the poor and the sick.